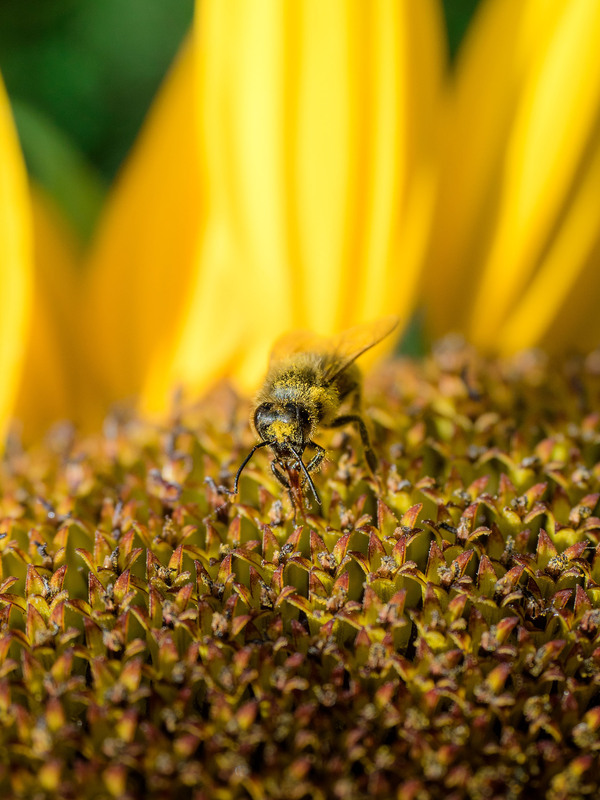 Macro shot of a bee pollinating a sun flower. It looks trivial, but actually it took me quite a while to manage a sharp photograph of this scene. Sun flowers can grow very high; I had to stretch my arms above my head and guess the focal distance. The scene was not steady enough to trust the auto focus because of wind and also because the bee was very busy.